Let’s continue our jungle adventures in the Big Kahuna Snakes and Ladders slot free play! 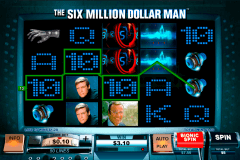 This Microgaming video slot has 5 reels and 15 paylines. 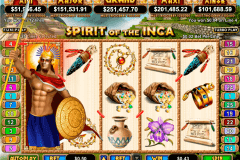 Gamblers can enjoy many special symbols on the reels of this online slot and benefit from its bonus features. Wins here are amazing and the jackpot is 5 000 coins. 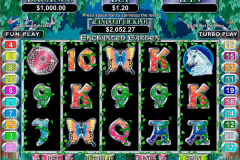 The Big Kahuna Snakes and Ladders slot belongs to the very popular Microgaming casino games free slots because it is the slot, which has combined the board and slot machine games in one. The Wild symbol of this casino game is its Logo, which is the jackpot symbol too. 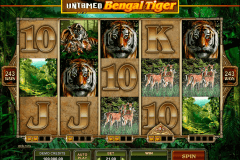 In addition to its traditional functions, the Logo Wild symbol will double all your wins in the main game and multiply them by 4 in the free spins bonus. Video slots games with free spins and bonus are not only very exciting to play, but they are also very rewarding. For example, in the free spins feature of the Big Kahuna Snakes and Ladders slot you can win up to 200 000 coins. However, you can get these 5 free spins with the 4xWild symbols and all doubled wins only at random. You can also play the Snakes and Ladders Bonus, which belongs to very interesting slots bonus games. Three and more Snakes and Ladders Bonus symbols will activate this game, where you should roll the dice to reach the Big Kahuna Mask and get the maximum prize in the form of the 100x multiplier. New Zealand players and all other gamblers interested in this nice slot from Microgaming can find it in Lucky Nugget mobile casino once they want to wager some real money. You will then be able to enjoy the set of Big Kahuna theme-related symbols, such as masks, tribal men and women, lizards, monkeys, different fruits, etc. Do not waste your time on doubts and try the Big Kahuna Snakes and Ladders video slot from Microgaming right now!